Early in 1980, TSR Hobbies circulated a slender booklet containing graphics and copy for hobby stores to reuse when advertising TSR products. It was called the Print Advertiser's Source Book. Effectively, it is a collection of high-contrast clip art, showing TSR products and logos in various sizes redrawn and optimized for monochrome printing. 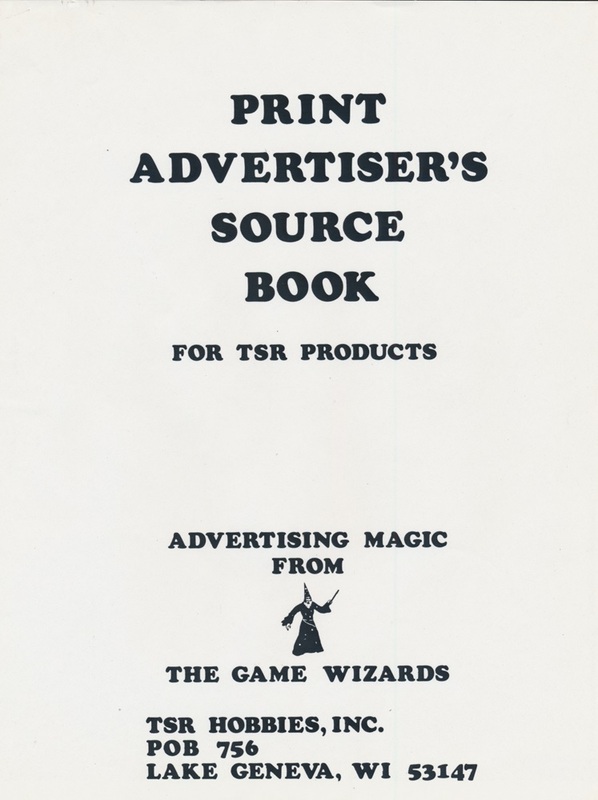 Retailers wanted these specialty graphics for advertisements in black-and-white newspapers: photographs of actual TSR product covers converted poorly to that medium. They are ripe for reuse in all sorts of retro graphic projects. 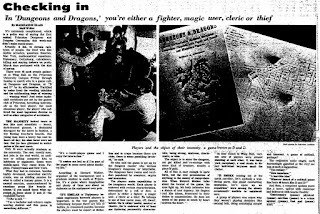 Gary Gygax explicitly called the Guidon Dungeons & Dragons document the "first draft" of the game in a cover letter. 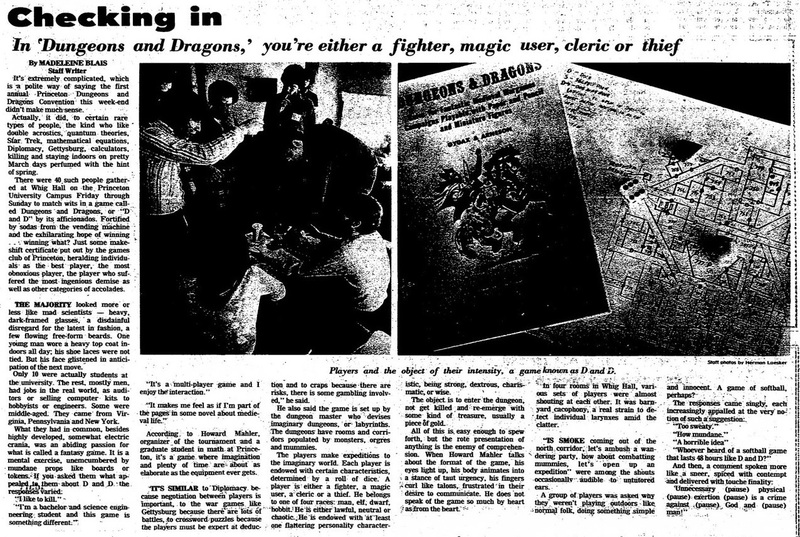 In that draft form, the game circulated to a number of playtesters in the Midwest. Some early adopters quickly engaged with the rules and produced their own versions: various structural properties show us that the Dalluhn Manuscript cribbed directly from the pages of Guidon. But it wasn't alone: the Prize Matrix shown here is from a partial draft similarly based on the original 1973 text, a draft we will here call the X-Fragments (compare this table to other post-Guidon drafts).